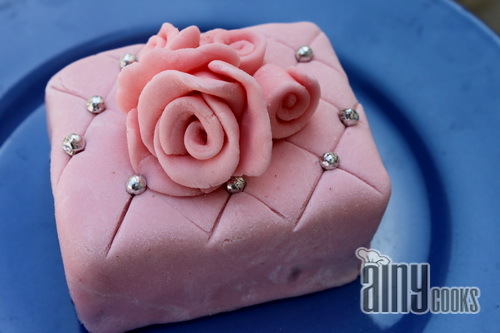 Last year i wrote a post about Marshmallow Fondant and all my readers liked it. I was looking for a good recipe of Basic fondant and i am grateful to one of my very sincere friend Rabia Faizan whose recipe i have tried and friends believe me if you have glucose available in your city then do not waste time , go buy it and make this fondant today.You can, not only make it easily but also its very cheap to make at home. 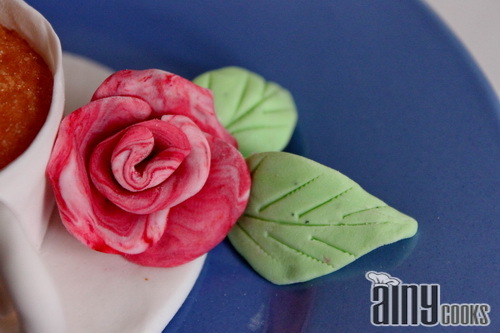 Do not forget to check FLOWER MAKING from mallow fondant. You can reduce the quantity first time as i did. I have used 2 cups of icing sugar. Here i will mention the actual quantities Rabia has given. Take an extra large bowl and grease it with butter or ghee or shortening. Add icing sugar in the bowl and make a well in the center of icing sugar. Now soak gelatin in 1/4 cup water. Leave it for 5 minutes to swell. Its better to soak in a small pot so you can heat it directly. Arrange all ingredients near stove. Heat gelatin on very low flame till melt, start adding all other ingredients one by one and keep on stiring. Take out glucose with spoon but transfer in pot with wet hands because it will stick with spoon and will be difficult to handle. After adding all ingredients stir constantly till glucose dissolve. Remove from stove and let it cool a bit. Pour this mixture in icing sugar well and do not forget to grease your hands. Start kneading , you can add more icing sugar if required. Fondant is ready ,wrap in cling sheet and store in air tight container. Add color of your choice and enjoy making things. I have used normal glycerin bought from a near by drug store. I was not able to take pictures of every step because preparation method was really quick ..you can say need sonic speed to make this fondant 😀 just kidding. 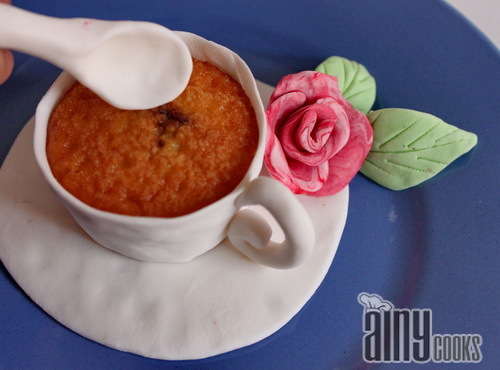 This is from 2 cups of icing sugar. This is very easy to make. 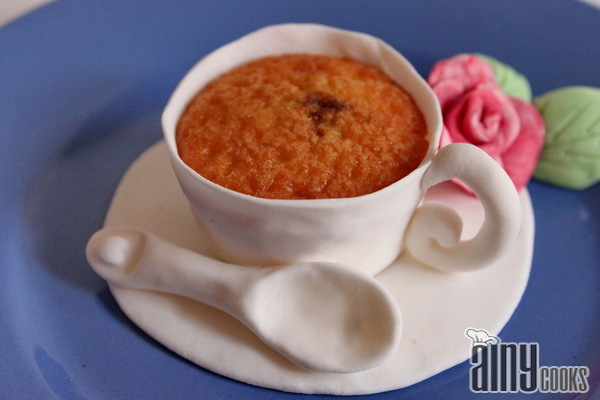 I have tried this very first time, inshallah in future I will add more ideas with different techniques without using any mold or cutter. Take a cupcake and roll your fondant according to the size of cupcake. Cut the edges from pizza cutter and wet one side. 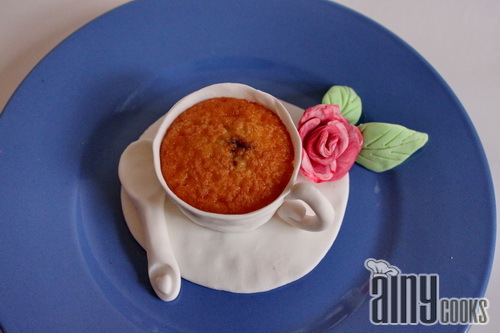 Wrap it on cupcake, Now roll fondant and cut with a round cutter to make a saucer. Make handle and wet both corners from brush and stick it.